Gishwati-Mukura National Park is situated on the highest ridges of the Congo-Nile Divide along the incredibly biodiverse Albertine Rift in the west of the country. Gishwati-Mukura National Park is endowed with a number of attractions and activities and most of them are seen and done on foot, they provide an unforgettable and adventurous experience that you will take with you home after the amazing safari. 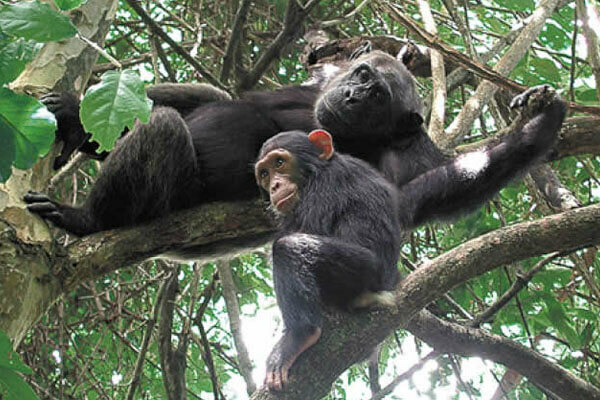 The park is among the areas with a high population of chimpanzees; these are human’s close relatives, hence most of these have been habituated and are available for tracking. Other attractions are the surrounding communities which have unique ethics and cultures, the golden monkeys, mountain monkeys, blue monkeys among others. Gishwati forest is among Rwanda’s famous birding spots; home to over 100 bird species. It is located in the Northwest of Rwanda in the Albertine Rift region. Rwanda being a small country is gifted with a lot to see including birds and of which these are over 650 species recorded in the country. Most birds are Albertine Rift endemics and others migrate from DR Congo. As earlier said a number of primate species like the Chimpanzees, baboons, the Blue monkeys, L’Hoest’s monkeys, Golden monkeys and other animals like the duikers and cats live in the park. While in the park you can be able to track chimpanzees and golden monkeys since there are a number of them that are habituated. There are a number of trails in the park which are used for guided walks and hiking by tourists through the forests. This gives visitors a great view of the beauty of this park while on foot and also some hidden wildlife like butterflies and birds can be spotted during hikes. The best facility so far to have an overnight stay is Gishwati lodge which is a great dwelling to combine adventure, luxury and conservation while on a visit to Gishwati-Mukura National Park. It is a luxurious lodge with great views of the beautiful landscape of the park; also activities like chimpanzee tacking, nature walks, photography and bird watching can be well enjoyed by visitors staying at the lodge. Gishwati lodge is an extraordinary and comfortable lodge that provides visitors with an adventurous and elegant feeling; in other wards it is a home away from home. The staff is well skilled and the food served is just tasty. This luxurious eco-lodge has 6 rustic cottages that accommodate 12 guests; it is a sister property to Bisate lodge located in the habitat of the endangered Gorillas-Volcanoes National Park. This is a great opportunity of you having a combined encounter of the World’s amazing Apes; the Chimpanzees and Mountain Gorillas. Meaning be among the first visitors to spend an overnight at this lodge where you will be able to do both Chimp tracking and Gorilla tracking staying in sister properties.